The school story genre has long been a favourite with authors and readers. We are delighted to be able to add our own contribution to publications on this topic. New committee member, Barbara Robertson, has written The writings of Elsie J Oxenham: a New Zealand perspective, which will be published as volume 9 in our irregular series Notes-Books-Authors. From Goblin Island in 1907 to Two Queens at the Abbey in 1959, Elsie Jeanette Oxenham wrote 90 books of which 87 were published in her lifetime. 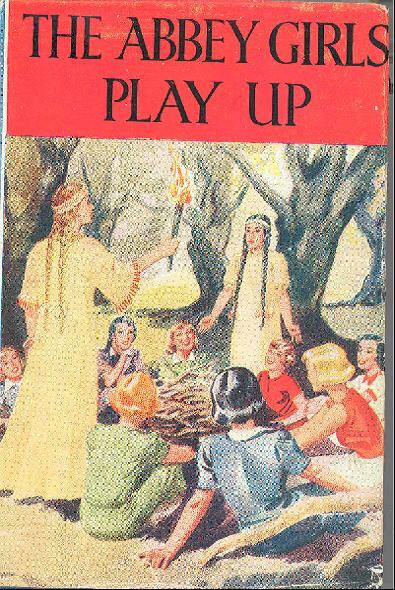 The most popular of these were the series of 39 books known as the Abbey girls’ stories. Barbara’s paper informs those who are not already fans of the books of Elsie Jeanette Oxenham, and gives a New Zealand viewpoint to the interest in her writings. The first Friends meeting of 2006 will celebrate this event. We will gather on Wednesday 29 March 2006 in the Lower Ground Floor Conference Room of the National Library from 5.30pm. Please note that we will not be using the auditorium foyer on this occasion as there is another event being held there – please come straight through to the Conference Room. Following drinks and nibbles author Barbara Robertson will speak about Elsie J Oxenham and the Abbey books. Barbara will read from some of EJO’s stories and committee members will read excerpts from other popular authors of this genre – Antonia Forest and Clare Mallory. There will also be a display of EJO books from the DNW & NCC collections and publications from the EJO Society. Copies of Notes-Books-Authors 9 will be available at the launch (all members are entitled to one free copy). If you are not able to be with us on the 29th your copy will be posted to you with the notification of the 2006 Annual General Meeting (probably in June). Additional copies will be available for $5.00 each. 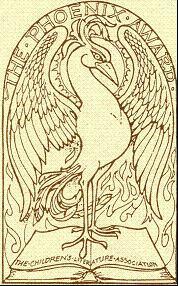 http://www.bufobooks.demon.co.uk/abbeylnk.htm– the website of the Elsie J Oxenham Appreciation Society based in the UK with news for members, links to other groups and an interesting page of FAQs (Frequently asked questions). 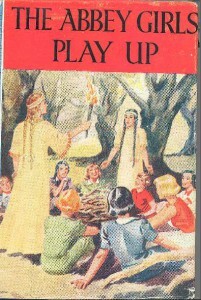 http://forums.delphiforums.com/abbeygirls/start – a meeting place for fans of Elsie J Oxenham’s Abbey books. 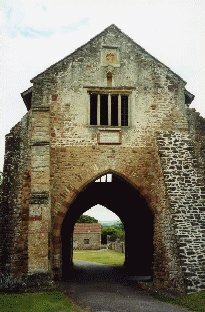 http://home.pacific.net.au/~bcooper/synopsis.htm Abbey Series synopsis– As the title indicates a brief outline of each of the Abbey books is given on this site. This page is part of the Collecting books and magazines website, based in the Blue Mountains, Australia. http://www.abbeygirlsofsa.com/ – The Abbey Girls of South Australia – this site includes book lists, a history of the society, and notices of current events. The Annual General Meeting of the Friends was held on Thursday 7 July 2005 in the National Library auditorium. It was followed by a Special General Meeting to vote on changes to the Society’s constitution proposed by Trevor Mowbray at the 2004 AGM. The SGM voted unanimously to accept the changes to the constitution as proposed. 3) Any library material bought by the Society for the Collections shall become part of the collections provided it is in line with The National Library of New Zealand Collections Policy. Joan McCracken (Newsletter), Barbara Robertson. We were particularly pleased to welcome Emma as our new president and Barbara as a new committee member. Copies of the full minutes of both meetings will be sent out with the notification of the 2006 Annual General Meeting. It was a real treat to have former FDNW committee member Kate De Goldi join us for the AGM and SGM, and afterwards to have her talk to us about the creation of her book Clubs, which won the NZ Post Book of the year in 2005. In particular she told us about the close working relationship between herself and artist Jacqui Colley whose illustrations are such an integral part of the book. They live next door to each other in Wellington, and the project grew naturally out of watching each other at work. Kate noted that the arrangement is an ideal one for an author and artist working together, and that she couldn’t imagine doing a book without that closeness. 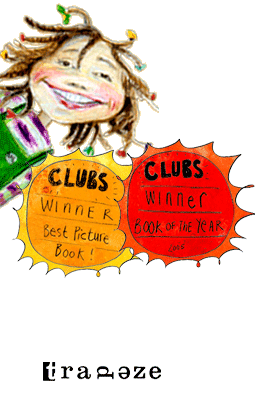 Clubs is the first in an expected series featuring Lolly Leopold and her friends. With Kate’s husband, Bruce Foster, they have established their own publishing company, Trapeze, with the aim of publishing high-quality children’s books. Editor’s note: On 24 July 2005 Clubs won the Best Typography award in the Spectrum Print Book Design Awards, and in September 2005 it was named the winner of the Russell Clark Award. 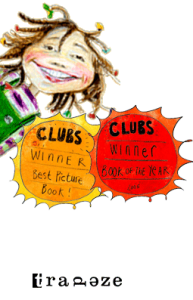 The latter is an annual award given by the NZ Library Association to recognise excellence in children’s book illustration. Kate and Jacqui’s second book, Uncle Jack, was published by Trapeze in November 2005, and a second book featuring Lolly Leopold in due in August 2006. In the past few months I have been busy with my usual activities: working with researchers and other visitors to the collections, presenting talks, assessing donations and purchasing books for the National Children’s Collection. For most of 2005 the children’s literature display case was housed in the Turnbull Library Pictures area while the lobby was redesigned. When we were ready to replace the display case in its former position we discovered that the light levels were too high. I am grateful to Chris Cane from the Gallery for both assisting with the design of the display and working with Bill McElwain (Property Services) to reduce the lighting levels to enable books from the DNW and National Children’s Collection to be put on display once more. 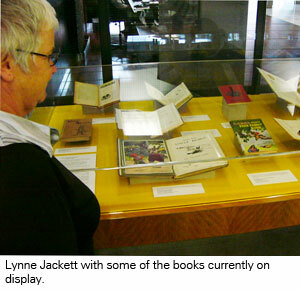 In December the display “Tar-Baby she ain’t sayin’ nuthin : 125 years of Brer Rabbit, Brer Fox and the Briar Patch” went on show inside the Reading Room on the ground floor of the National Library building. Reference Services staff say that it attracts a large number of viewers and favourable comments. From April to June the display will feature cautionary tales. A Conservation intern created protective boxing for a further 133 of the fragile books in the Dorothy Neal White Collection. This is great progress toward the goal of getting all the bagged books into more suitable protective enclosures. Ideally, all the fragile books would be repaired, but (with apologies to Lady Macbeth) there are not enough conservators in all Australasia to undertake that task. I have been lucky to be working with the National Library of New Zealand’s Children’s Literature Collections for almost 30 years. The books we collect are mainly in English and published in the USA, England, Australia and New Zealand. We also collect books in Maori and Pasifika languages. I helped select the New Zealand books for the ICDL. We can only select 3 books as “my favourites”, but I wanted to select more, including Crayfishing with grandmother, our first bilingual Maori and English picture book; Richard Bird in the bush, The house that grew and Mrs McGinty and the bizarre plant – all family favourites; so do look at those books as well. In January I received an email form a Canadian antiquarian bookseller seeking information about a book we hold in the DNW Collection Our parlour panorama by Mrs George Cupples (London: Nelson, 1882). He had an interest in Mrs Cupples and was keen to know more of a book of which he had been unaware until he saw it listed in the bibliography of one of the Notes-Books-Authors that Jeff Hunt has added to the Friends web page – thank you, Jeff! I sent the Canadian bookseller a description of the book and contents. Searches on the web revealed only one other library holding, at the University of Exeter. It does not appear to be held by either the British Library or the Library of Congress. The 2005 FDNW Scholarship was presented to Andrew Francis at the Friends end of the year event in November. Andrew has an MA from the University of Westminster in London and is currently working on his PhD. His thesis topic is anti-alienism prior to World War 1. As part of his research he is looking at the way in which Germans were portrayed in books and magazines for children. While doing his thesis Andrew is also working part-time at the Alexander Turnbull Library and lecturing at Victoria University on “The Great Sacrifice: Social and Cultural Perspectives on World War One”. Andrew was named the 2005 recipient for the Best Tutor in the Faculty of Humanities and Social Sciences at Victoria University. Now that the Friends have extended their support to the Susan Price Collection, the Newsletter will regularly include information about the SPC. Recently, Susan submitted the 15th annual report on the SPC to the National Librarian. The report covered collection-related activities from July 2004-June 2005. The SPC year began spectacularly with an event at which Susan presented a $20,000 scholarship to children’s author, reviewer and teacher Kate De Goldi. Kate is using the scholarship to write about her own journey through the world of children’s books; discussing their emotional importance and how they shaped her. Sixty-four people, including many Wellington members of the Friends, attended the event. Speakers included Penny Carnaby, the National Librarian; Kate and Susan, with Hugh Price acting as master of ceremonies. 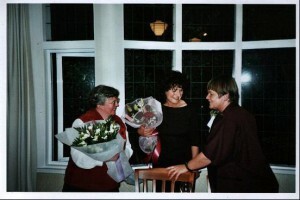 Ruth McIntyre interviewed Susan and the resulting article appeared in Magpies: talking about books for children Volume 19, Number 5, November 2004. The Susan Price page on the New Zealand Book Council author’s web site was revised in early 2005 bookcouncil.org.nz, Susan also republished a third impression of the third edition of the leaflet about the SPC. Twenty-two individuals visited the SPC during the year, as well as 5 groups (130 people) from the Friends, St. Joseph’s School (Te Kuiti), Wellington City Libraries Children’s Services, CHOCS (Collectors and Hoarders of Children’s Books), and the National Library Reference Services staff. Fifty-eight books were received from sixteen donors. Susan spent $16,920 on the collection, acquiring 763 books. The total size of the collection at 31st March 2005 was approximately 18,500. The patron of the Friends of the Dorothy Neal White Collection is Margaret Mahy. We would like to extend our congratulations to her for the many prestigious awards she has received in 2005. The catalogue of the universe was also the title of a presentation Margaret made as part of the Are angels OK? series of talks given at Te Papa November. She was part of a panel with authors Bill Manhire and Elizabeth Knox in discussion with top New Zealand physicists. The project brought together creative writers and physicists in a collaboration from which it is hoped new and innovative plays, novels and poetry may be the eventual result. We also wish Margaret our very best wishes on her 70th birthday. 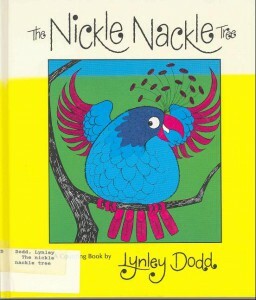 New Zealand’s best-known author-illustrator, Lynley Dodd, the creator of Hairy Maclary, has won the 2006 Gaelyn Gordon Award for a Much-loved Book for her first book, The nickle nackle tree. 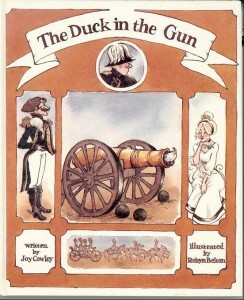 Published in Britain in 1976, the picture book was her first after the successful My cat likes to hide in boxes with writer Eve Sutton (1973), and has remained in print ever since. The award is given annually by the Storylines Children’s Literature Foundation in memory of the late Hamilton writer Gaelyn Gordon, to recognise a book unheralded at the time of publication but which has remained in print and proven itself a favourite with readers. In a career spanning more than 30 years, Lynley Dodd has created such well-loved and iconic characters as Hairy Maclary, Slinky Malinky, Schnitzel von Krumm and her latest, Zachary Quack. Her books, admired for the wit and technical mastery of both the verse and pictures, have been regular award winners in New Zealand and are widely published in America, Australia and elsewhere. She was awarded the Margaret Mahy Medal in 1999 and a DCOM in 2002. Acclaimed Dunedin illustrator and tertiary lecturer, Robyn Belton, is the 2006 winner of New Zealand’s most prestigious award for children’s literature, the Margaret Mahy Medal. The award is given annually by Storylines Children’s Literature Foundation of New Zealand for a distinguished contribution to children’s literature and literacy. A graduate of the Canterbury University School of Fine Arts, Robyn Belton has been a leading New Zealand illustrator for more than 20 years. 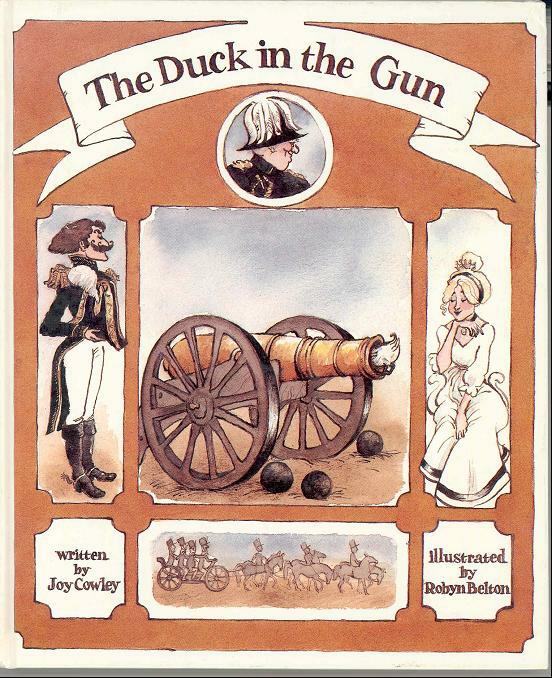 Her debut work The duck in the gun, an anti-war picture book published in 1984 with text by Joy Cowley, won the Russell Clark Award and was one of 10 children’s books selected for the Hiroshima Peace Museum. She has since won further major awards for David’s Dad (1990) and a second anti-war book The bantam and the solider (1996), both with author Jennifer Beck. Her work, which includes the iconic Greedy Cat image widely recognised throughout the USA, has featured regularly in the School Journal and in “school readers”. It has also been exhibited in New Zealand, Italy and Japan. Her latest book is Marta and the manger straw, a Polish Christmas story by leading American writer Virginia Kroll, published in 2005 in USA. Robyn Belton is internationally admired for her mastery of watercolour and her meticulous research, as well as for her teaching work in schools and colleges throughout the country. Robyn Belton is the 16th winner of the Margaret Mahy Medal. Previous winners include Joy Cowley, Lynley Dodd and Maurice Gee. Robyn Belton’s lecture, which is given each year as part of the acceptance of the award, will be presented at the Storylines annual Margaret Mahy Day, on Saturday, March 11 at the Faculty of Education, University of Auckland. It was with great regret that we learned, in January, of the death of renowned writer for children, Jan Mark. It was especially poignant this year as so many of us were greatly looking forward to hearing her speak during Readers & Writers Week 2006. We reproduce below one of the many obituaries for Jan Mark that have appeared in the international press. Jan Mark, who has died aged 62 of meningitis-related septicaemia, twice won Britain’s foremost children’s literary award, the Carnegie Medal, and was one of the leading children’s writers of the day. To her cats, readers and friends, she showed the same gruff, mischievously tolerant demeanour, which hid – rather badly as you got to know her – the warmest soul imaginable. The cats and the readers had the best of it. If you visited Jan’s small terraced house in Oxford, you would immediately know how good it was to be one of her cats. She spoke to them in critically benevolent tones, commented on their comings and goings, acknowledged their independence, made jokes at their expense, but, above all, fed them and cared about them. It was the same with her readers. Her prose was beautiful and plain, her sentences shortish but elegant, and her novels woven together so well that any editor would be nervous of suggesting an alteration in case by pulling on a thread they would unravel the whole piece. The order of writing was always the same and the method traditional; no book was shown to anyone until it went through this process. First, a draft in longhand – if a big book, this might take a few months. Then a second draft, this time on her Smith Corona typewriter. Jan was a proper writer, a mistress of her craft, the kind who cares deeply about the words and in what position they appear in a sentence, the rhythm and the sound. The third and final draft was again created on the typewriter; no computers or word processors for Jan.
On that old typewriter she wrote more than 80 books for children and young people – novels of all lengths, short stories, picture books, plays and television scripts, non-fiction, even a travel book (with several more titles currently in production). For adults, she published poetry and, in 1987, the superb novel, Zeno was here. Each typescript – with additional notes in her own hand – would be delivered directly to the commissioning editor. Jan believed in the editor’s role. Her first novel, Thunder and lightnings, was written for (and won) the Kestrel/Guardian prize for a children’s novel by a previously unpublished writer, and then won the 1977 Carnegie Medal. (Most unusually, she won the medal again in 1984, for Handles). When it appeared in 1976, Thunder and lightnings seemed like something entirely new. It told the story of two very different boys who become passionately interested in the Lightning aircraft at a nearby RAF base just as they are being phased out. At the heart of the story was the friendship of Andrew, newly arrived in Norfolk (as Mark was herself), and local boy Victor, who has done the same project on fish every year, with no one noticing, but who nurses his private passion for aircraft so protectively because he understands the transience of such feeling and experience. This narrative lens, the conversations and interactions between two observers of the craziness of everybody else, was a favourite of Jan’s, and she returned to it in several later books. At her best, in, for example, Trouble half-way, it allowed her to suggest a whole range of feelings and guesses and hopes far beyond what is actually said. But she was not limited to realism. Her “speculative novels”, especially The eclipse of the century (1999), showed her at home in wider and stranger backgrounds. She might have expanded on this strand of her work, but like many writers of children’s books, she found herself obliged to write fast and publish widely, and never found the general reputation that would have enabled her to claim the advances, and take the time, expected as a matter of course by those whose books are read only by adults. A brilliant teacher, who relished her time, between 1982 and 1984, in the faculty of education at Oxford Polytechnic (now Oxford Brookes University), Jan was an experienced and successful tutor and mentor of other writers, both in the UK and abroad. She taught many courses for the Arvon Foundation and the Taliesin Foundation, at Ty Newydd, north Wales (and was instrumental in organising benefit courses, with herself and colleagues donating services free of charge, when the centre needed major refurbishment). She took a realistic view of the demands of that sort of intensive teaching: “First, isolate the loony,” she said once. School visits contribute an important part of the income of many a children’s writer, and Jan was an assiduous and dedicated visiting writer, who took everything seriously and expected nothing but the highest from the children she spoke to. Her manner could be alarming, but it was never frivolous, and the most gifted pupils responded to her seriousness with an equal dedication, which she never failed to reward with real and generous praise. She could hold a deliciously long-lasting grudge and had an implacable contempt for pretension. On her fridge at one time was blu-tacked a large collection of cartoons of Tony Blair showing the “developing man” – she was a stalwart old Labour activist. She could be splendidly caustic about the sometimes precious world of children’s books. A familiar glowering presence at book launches and junketings, she was avoided by those who could not withstand the baleful glare and the prickly remarks, but to those who sought her she was an oasis of cigarettes, red wine and good conversation. She lived much of her later life in the friendly neighbourhood south of the Cowley Road, which she referred to as “the people’s republic of East Oxford”. Across Magdalen Bridge, in the “kingdom of Oxford”, was one of her destinations of choice, the Bodleian Library, where she would conduct much poring over manuscripts. As an art student at Canterbury, where she began as a sculptor and stone-carver, she was told “you are not a natural scholar”, and the craftsman’s approach guided her writing. Over time, though she would never claim it herself, she became a scholar of the best kind, and with her retentive memory was able to quote both the classic and the recondite with equal facility and accuracy – and robustly denounce the inaccurate and slipshod. Her attachment to the truth was unshakeable. She was steeped in the history and knowledge of children’s books; she compiled and researched the Oxford book of children’s stories (1993). She was a distinguished reviewer for this newspaper, and her tiny house was always brimming with books and articles, music from the Penguin Café Orchestra playing in the background. She would often draw attention to books which had not benefited from lavish marketing campaigns, or were from small presses or from publishers overseas. But she was scathing about the large numbers of children’s fantasy novels she was sent for review, most of which she dismissed as “hoop-tedoodle”, a word defined as “inflammation of the story caused by infectious or toxic writing”. Mark was born in Welwyn, Hertfordshire, and educated in Ashford, Kent. Having completed a national diploma in design at Canterbury College of Art, she taught art and English at Southfields school, Gravesend. She is survived by her son Alex, daughter Isobel and former husband Neil Mark, whom she married in 1969 and from whom she was divorced – but with whom she remained on very good terms. The literary world is mourning the death of talented Christchurch children’s book illustrator Selina Young. Young, 35, died in Christchurch on Wednesday. Her death is a suspected suicide and has been referred to the coroner. British-born Young moved to New Zealand 10 years ago and lived in Lyttelton. She was best known in New Zealand for her illustrations of Christchurch children’s writer Margaret Mahy’s One summery summer morning, which won the New Zealand Post Book of the Year Supreme Award in 1998. 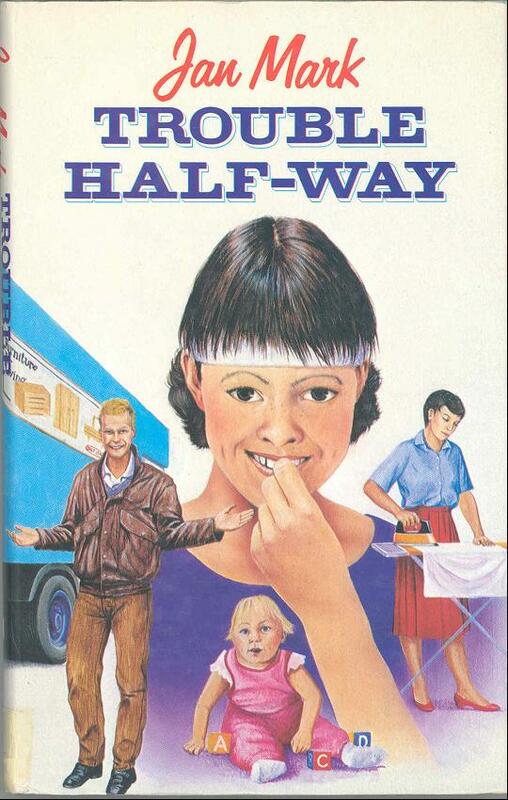 Young, who also wrote and illustrated her own stories, produced 31 books, many of them for the European market. Mahy said Young was an “elegant illustrator” with whom she had always felt a strong affinity. “What was significant for me was the book we did was the first one illustrated by someone who understood the place where I lived in Governors Bay,” Mahy said. “Previously, I had British illustrators because when I started writing there were not many illustrators in New Zealand.”The pair had walked around the coast, and Mahy said Young had incorporated the things they saw into the book. “It is a book where the text and the pictures have a particular unity that none of my other books have,” she said. While Young was better known in Britain, where most of her books were published, her father, Eoin Young, a motor-racing journalist and writer, said the family had come to New Zealand every year for the motor racing. Her godparents were Patty McLaren, wife of racing driver Bruce McLaren, and Denis Hulme. Young said his daughter had always been fascinated by drawing, and her first book in 1991 had won the MacMillan Prize for children’s book illustration. She moved to New Zealand and met Tony Palmer, with whom she had her six-year-old son Alfie. The couple had separated. 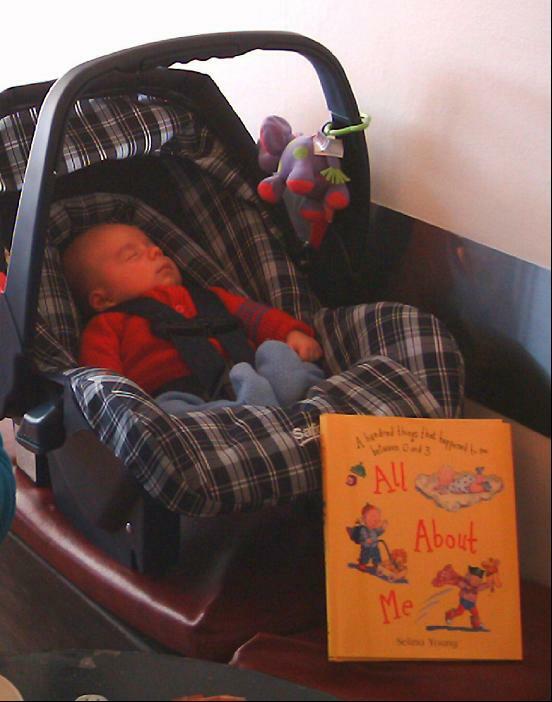 Children’s Bookshop owner Sheila Sinclair said Young’s friends had been coming to the shop since her death, wanting copies of her latest book, All about me, which was based on the first three years of her son’s life. “It is a very sad day for all of us because such good illustrators are very precious,” Sinclair said. Young had told her she was keen to work with New Zealand publishers as she wanted to be more prominent here, Sinclair said. Further editions will be added as time allows. There is a picture gallery of recent Friends’ activities as well as information about the Society and events. Short biographical details about Dorothy Neal White are included, together with information about the DNW, Susan Price, and National Children’s Collections. A search box is now available on the site to make finding specific information easier. Suggestions and contributions to the site are welcomed. The 2005 Annual General Meeting agreed to hold the subscription rate at $20 a year. Members might also like to make a contribution to a special Scholarship fund that will allow us to continue and / or increase the amount we are able to offer a student at Victoria University doing research based on the DNW Collection. A separate line has been included on the form for those Friends who would like to make such a donation.